Even if you don’t bake much the rest of the year, you probably do some baking around the holidays. The weather is cold, the atmosphere is festive and all the pieces required to bake a batch of Christmas cookies or dig out grandma’s signature pie recipe just seem to fall into place. 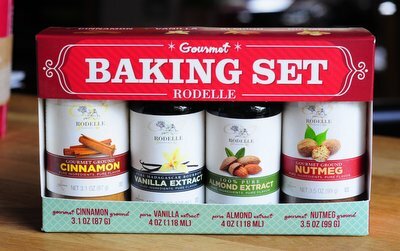 I do a lot of extra baking during the holidays and always stock up on baking supplies – especially vanilla extract and spices – because I know that I’m going to go through them much faster than usual.Â To make sure that you don’t run out of these holiday baking staples, I’m hosting a Rodelle Gourmet Baking Set Giveaway, where there will be two lucky winners! The baking set includes Madagascar Bourbon Vanilla Extract, Almond Extract, and premium ground cinnamon and nutmeg. The jars are all very generously sized, so you’ll have plenty to get you through baking season! If you don’t want to take your chances with the contest, you can also pick up one of these Gourmet Baking Sets at Costco stores this season. And while you’re in a contest-entering mood, don’t forget to enter this year’s Rodelle Challenge for a chance to win a KitchenAid Stand Mixer and lots of other awesome goodies. Â Update: Congrats to Kim and mrsblocko! This giveaway is now closed. Thanks to everyone for participating! My favorite holiday cookie is a butter cookie! My favorite holiday cookie are my mom’s chocolate peanut butter pinwheels! 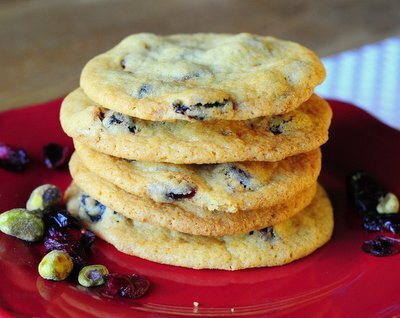 Oatmeal raisin with white chocolate chips. I am a chocoholic, but just love those cookies. Thank you for great prize. I love to make (and eat) an old colonial cookie called Tavern Biscuits. I like snickerdoodle cookies a ton during the holidays. For some reason, they’re not made during the rest of the year in my family. 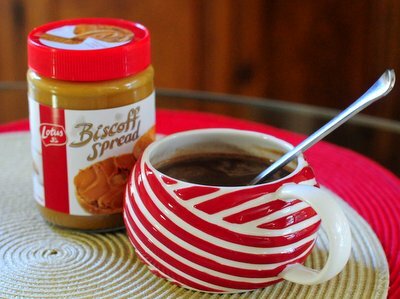 Paired with a cool glass of milk, they make amazing nighttime treats! Although I don’t think of them as a holiday cookie per se, the cookie I associate most with Christmas is the Andes Candies chocolate/mint cookies. That’s what I look for each year in addition to our holiday decorated sugar cookies. My favourite is definitely gingerbread people! I’m partial to Mexican Wedding Cakes. My favorite holiday cookies are Rose’s Crescents from Rose Levy Beranbaum’s Christmas Cookie book. Everyone should have this book in their library. I’m all about soft sugar cookies lately. I like my mom’s sugar cookies. My favorite holiday cookies are “Mexican Wedding Cake” cookies! So many choices. So far I have made Cranberry Pistachio Oatmeal, huge chocolate chip cookies with cake flour, Chocolate Crackle cookies and Rugelach. They are all delicious. I certainly could make good use of this Rodelle Gourmet Baking Set. Thank you.